My walking tour will take fellow ISAA members on a visit to my public history 'workshops along the bank of the Macquarie/Wambool River. We will begin with a visit to The Pillars of Bathurst, a cultural heritage feature I helped establish in 2015 in connection with Bathurst’s Bicentenary. An ongoing project, the Pillars commemorate past Bathurstians who have contributed to the history of the community. 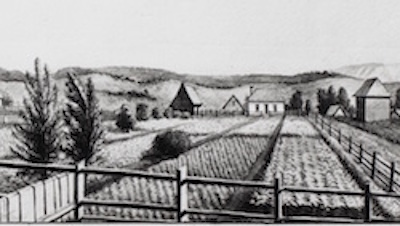 Following a comment on the Surveyors’ Trail, a work-in-progress, we will then commence our 'A Delightful Spot' walk, during which we will visit sites of key buildings, including the Bathurst Female Factory, and significant events associated with the first Bathurst settlement, established in 1815. En route, we will visit the enigmatic Old Government Cottage and the Bicentenary Flag Staff, placed with my assistance (and insistence) on the exact site of Macquarie’s 1815 Flag Staff. I will comment on my research, interpretation and lobbying as an independent public historian as reflected in what we will visit. The tour will end at the Bathurst City Community Club (William Street) to view the permanent display of maps and images of the settlement as well as another work-in-progress, the interpretation of the recently uncovered foundations of the 1897 police barracks kitchen. Time permitting, I would be happy to take “survivors” on an additional, but shorter, walk in the CBD through the Bathurst Town Square, another of my “workshops”, terminating at the historic Church Bar, a splendid example of adaptive reuse with a fine selection of ales on tap.